These specialist practical courses on the preparation of water-based paints made of 24 carat gold, silver and precious minerals are of interest to artists, craftspeople, conservators, restorers, academics, and anyone with an interest in the pre-industrial arts of the book. The techniques are referenced from historical practice in Asia and the Islamic world, but can equally be adapted to any other context. Class sizes are limited to a maximum of four participants. 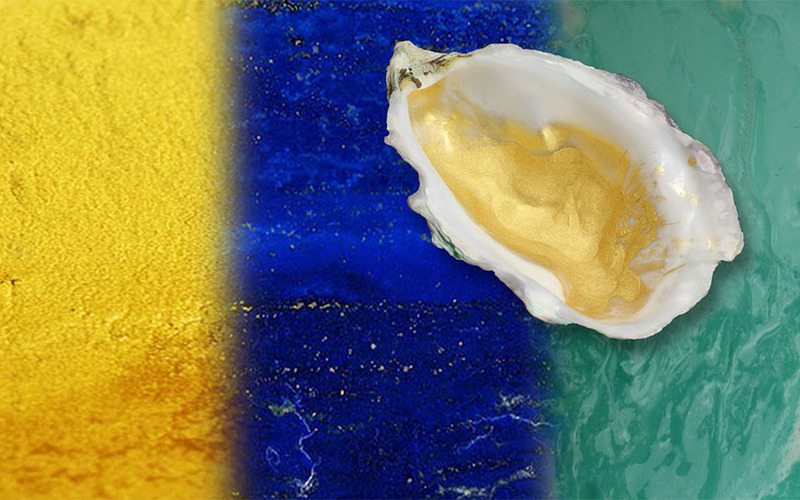 In this course participants will learn traditional techniques for preparing and using fine gold as a water-based paint. 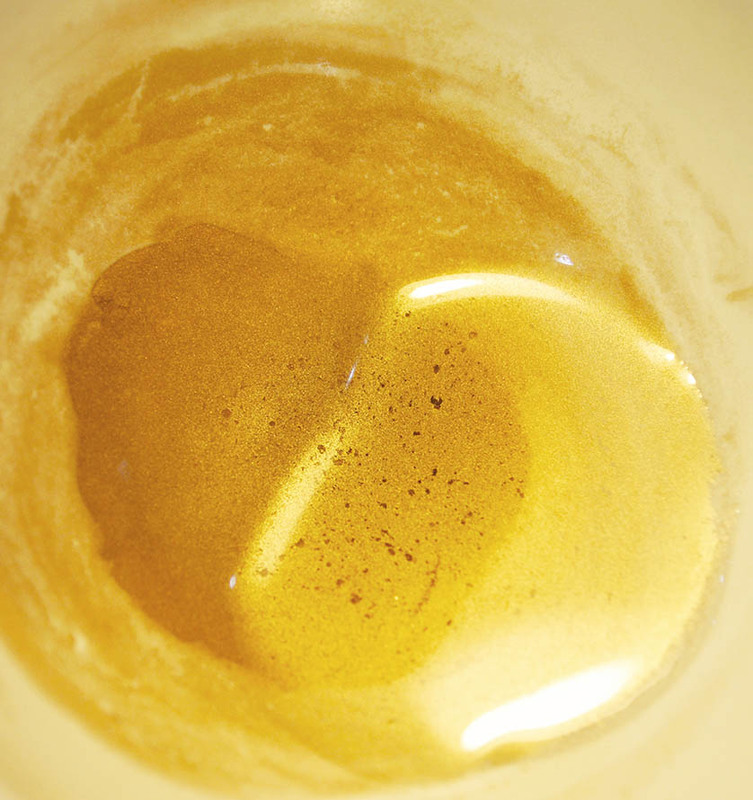 ‘Shell Gold’ is finely divided gold powder made by grinding gold leaf. It is traditionally stored in a shell and tempered with a gum Arabic medium. It can be prepared as pure 24 carat gold pigment, or modified with varying quantities of silver powder to create variations in shade. Participants are encouraged to make enough to take away for their own projects, and will receive tuition on how to use the product. They will also learn a simple technique for decorating paper with sprinkled gold flecks, which was traditionally used for decorating the margins of Islamic manuscripts. 10 – 11 June 2016, 10.00 a.m. – 5.30 p.m.
24 – 25 June 2016, 10.00 a.m. – 5.30 p.m.
To register: Please go to Eventbrite to register and pay online. Gem-quality lapis lazuli and malachite make the most precious of pigments which were reserved for the embellishment of elite manuscripts and sacred texts. Run jointly by two leading specialists in the field, this workshop offers a rare opportunity to learn the secrets of the preparation and use of these colours. 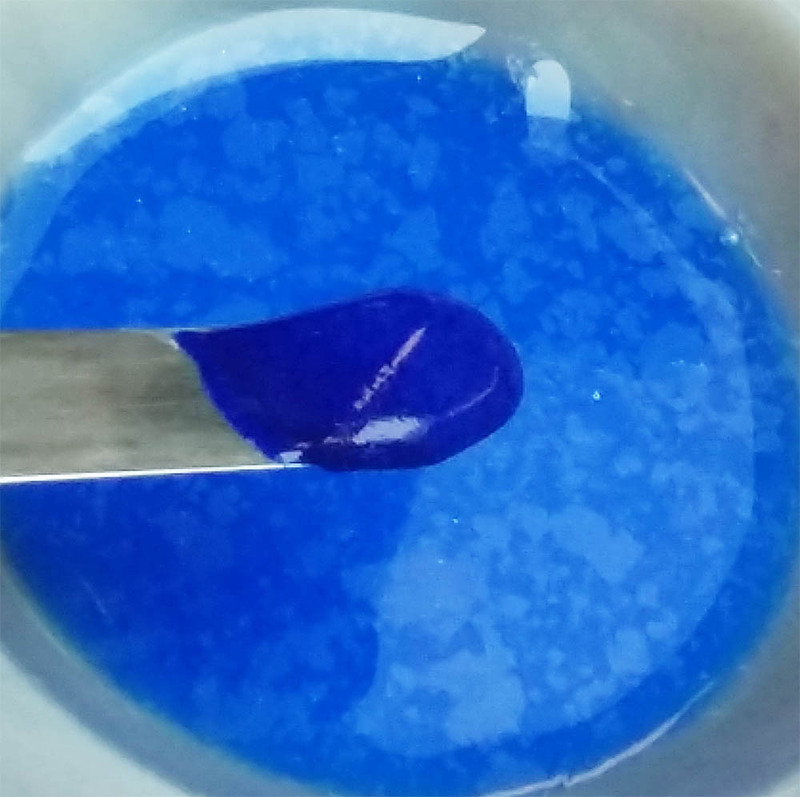 Starting with actual rock samples of lapis lazuli and malachite, participants will take part in grinding and processing the material into samples of fine pigment to take away and use. 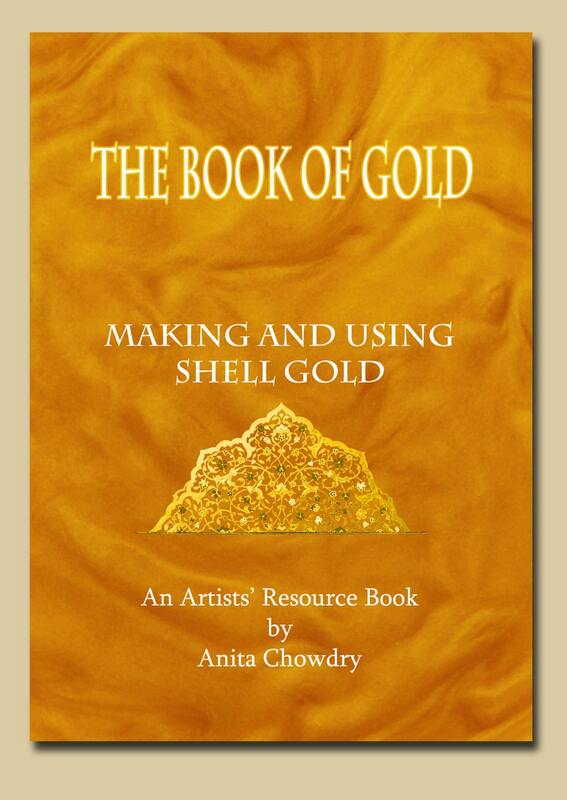 17 – 18 June 2016, 10.00 a.m. – 5.30 p.m.
Anita Chowdry is an experienced artist and tutor who has used and researched shell gold extensively since first learning about its production in India. 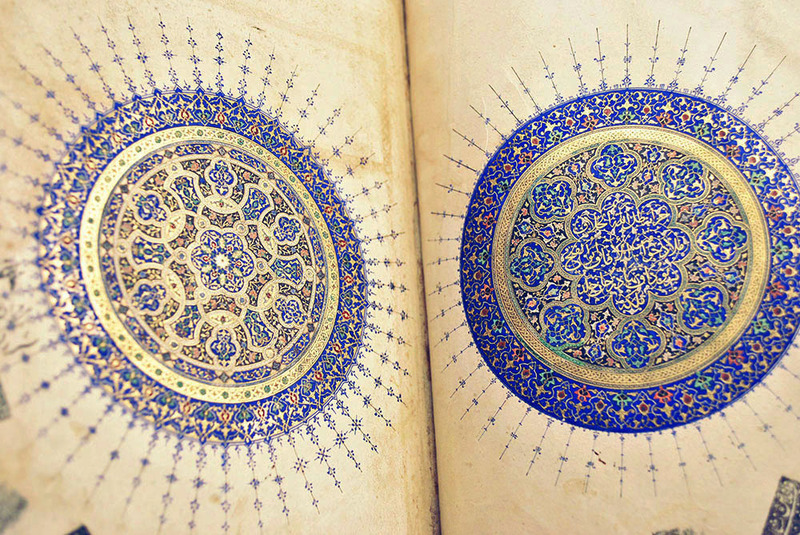 A master illuminator in Persianate traditions, Anita has been teaching historical techniques and the preparation of pigments to artists and conservators in museums and national libraries the UK and abroad for over twenty years. David Margulies has been a painting conservator and restorer for 40 years, specialising in Pre-Raphaelite and Qajar paintings. He is a lecturer in the material and technical history of oil painting and is a consultant to Hamstead Auctions. For many years David was an independent retailer of specialist art materials, and continues his dedicated research into the geology, history and geo-politics of lapis lazuli with particular reference to the production of genuine ultramarine pigment. A part of this research involves microscopy, which David studied under Walter McCrone of the McCrone Institute, Chicago. The Studio based in Bloomsbury is a comfortable, inspiring and well- resourced working space, close to major museums and galleries and easily accessible by bus or tube. Hi Ronnie, Thanks for signing up. I have just sent you an e-mail with more details – see you soon!